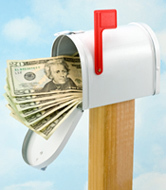 Value May Enhance The Effectiveness Of Direct Mail. Direct mailers are using more coupons, discounts, and promotional giveaways to increase response rates. With the economic recession finally starting to subside, many consumers are beginning to loosen up their purse strings. Understandably, many small business owners are now trying to figure out a way to encourage consumers to spend money at their shops. Though consumer spending was up in the first quarter of 2010, many shoppers are still looking to get a lot of value out of their purchases. A recent article from DMNews suggests that business owners may want to consider adding more value to their direct mail marketing materials. One way business owners can do this is by offering special coupons and promotions through their brochures. "The power of putting money back in consumers’ wallets explains the growing popularity of coupons. NCH Marketing Services reports that coupon distribution rose 11 percent in 2009, while redemption rates have increased consistently over the past six quarters. According to a recent Nielsen report, direct mail is the second-fastest growing redemption method for coupons, posting a 69-percent jump in 2009," says the site. The key, says Frederick Hollywood Group’s Linda LoRe, is to keep offers creative, relevant, and priced competitively. For example, LoRe’s organization is currently running a summer marketing campaign. On one side of the brochure, it is offering a three-in-one promotion that offers customers items that they would normally purchase together at a discounted price. The other side of the brochure features a special offer. Special offers aren’t the only way that a business owner can sway a consumer, either. According to Joy Schwartz, co-president of Euro RSCG Chicago, more personalized communications may also help drive sales. "It’s not just value in terms of price and a dollar amount, but in how people are connected to a brand and what the brand is offering someone that improves their purchase and also their life," Schwartz told the site. 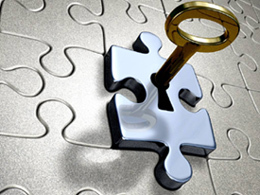 Loyalty programs can be one way to personalize those communications. For example, one of Euro RSCG’s clients, Sprint, offers customers a welcome package with personalized plans and special events. The value here is that it makes the customers’ lives more manageable, says Schwartz. Besides offering value, direct mail can also help business owners build their brand. According to a recent article from Marketing Magazine, the best way to establish a brand is through short-term and long-term marketing campaigns. 10 Elements Every Direct Mail Piece Should Have. On the envelope or front of the mailer there should be one central message. The best way to achieve that is with a bold, clear headline that's not cluttered with other text. 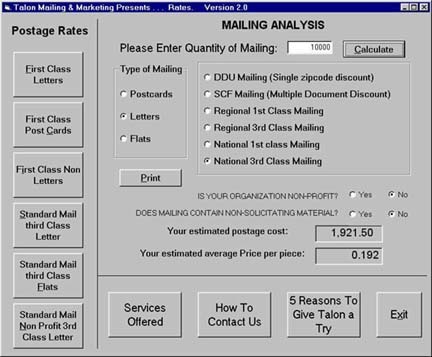 A good guideline is to have the headline fill up at least 15 percent of the front of the mailer. The graphic should be easy to understand and easily relatable to the message the headline is trying to convey. For instance, if you are trying to get people to buy a car, you would want to show a car with a promotional sign clearly visible, such as “$1,000 Cash Back”. That graphic reinforces the message more than a simple picture of a car. Make the headline and other text stand out by using a color that stands out from the background color. When you look at the card, ask yourself, "What do I see first?" If your answer isn't the headline, you might want to tweak the colors. If you have a couple of paragraphs of text with no lead in, there's nothing to entice people to actually read the copy. A subhead will give people a place to start reading. If you have only 100 words or so you may be able to get away with it, but if the text gets any longer the average reader will want to have some guideposts along the way. One of the biggest advertising errors people make is to state features rather than benefits. For example, never assume recipients know what benefit can be derived from a lower interest rate. Let them know how their monthly payments will go down. An offer is always a good idea and should represent a specific reason to call now, such as "Limited supply" or "Interest rates are climbing." Although this needs to be on the mailer, it shouldn't overshadow the offer. Customers care most about what you can do for them. Tell prospects exactly what you want them to do. "Call today for more information" or "See us online" are two of the most common desired actions. A return address ensures you'll get returned mail from the post office and sends a message that you're an established professional. People feel better knowing the company they're dealing with has an actual location. 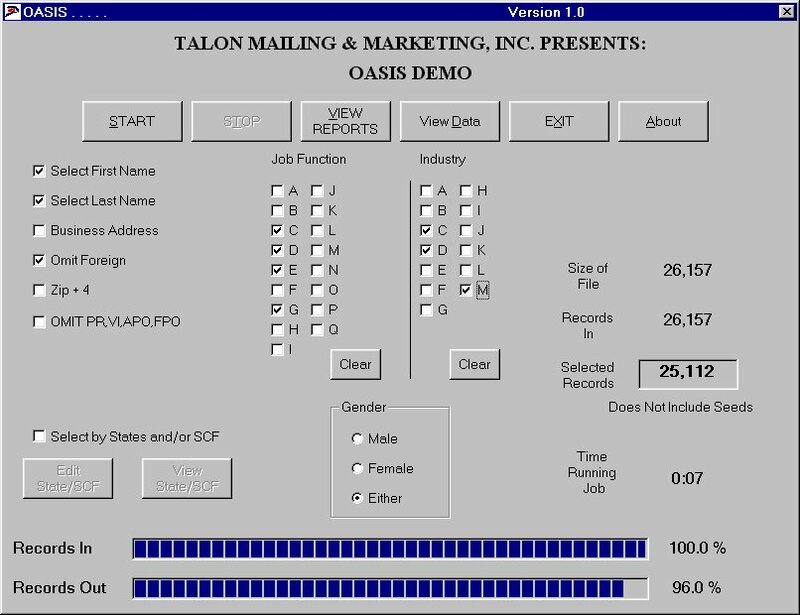 Talon Introduces Residential Delivery Indicator Service. Now you can better manage your mailing lists and enjoy reduced overall costs. Juggling business and residential addresses in your mailing lists? Our new service, The Residential Delivery Indicator option helps you take control of your data, quickly and easily, to get the postal discounts you want. Using technology designed and certified by the USPS, our Residential Delivery Indicator will identify and flag residential addresses that can cost you additional postage and shipping costs depending on your shipper. Being able to identify "work" and "home" addresses and keep them separate helps you make informed carrier choices for maximum mailing economy by "rate shopping". Additionally, you can learn more about the make-up of your mailing list and can identify more duplicates. To learn more about how our new service can help improve your bottom line, call Michael Borkan at 631-667-500 x 11. All you have to do to win is be the first telephone caller (please don’t hit reply and send an email). Voice Mail messages count so it's fine to leave a voice mail. Call Michael Borkan at 631-667-5500 x 11. These tickets are great seats and close to the field! Tuesday June 15th The Yankees vs. The Philadelphia Phillies 7:05 PM. usnaviguide.com/zip.htm - The Most Accurate Free USA Zip Code Map Anywhere! Find USPS postal Zip codes by address or click on the map to display the zip code as a boundary map. myway.com - a web portal and search engine like Yahoo!, but without any banners, pop-ups or spam. No ads means more room for terrific personalized searches. Join for free and get 125MB storage, and Enhanced spam prevention tools. shipgooder.com - a simple, fast rate search engine to get the best shipping rates by comparing local, regional and national courier companies. manualsonline.com - - Manuals and free owners instruction pdf guides. Find the user manual and the help you need for the products you own at ManualsOnline. factcheck.org - monitors the accuracy of claims by politicians, political ads and chain e-mails. They cut through the spin and tell you what is true and what isn't.